Tour Description: Pick you up from Beijing airport upon arrival; our private English-speaking tour guide will hold a paper sign with your name on for you to recognize. Drive to the Badaling Great Wall, the most famous and best-preserved section of the Great Wall. Cable car is optional. Stay as long as you can on the wall. 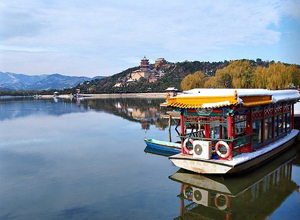 Drive back downtown to visit the Summer Palace. It is the best preserved imperial garden in the world, where the Chinese emperors and their concubines entertain their selves. After the visit, be transferred back to the airport. We arrive March 18 at 420am. Depart March 18 at 550pm. According to your layover time, you will have plenty of time to do the tour. We just sent you an email about detailed tour itinerary with the timeline, please check. Hello we have a 13 hr layover. Do we have enough time for this tour? Thank you! Could you please provide us your arrival & departure flights times? Then we will know if you have enough time to do this tour. Hi, i am interested in this tour. Do you have English speaking guide? Can I get the price for this tour, please? 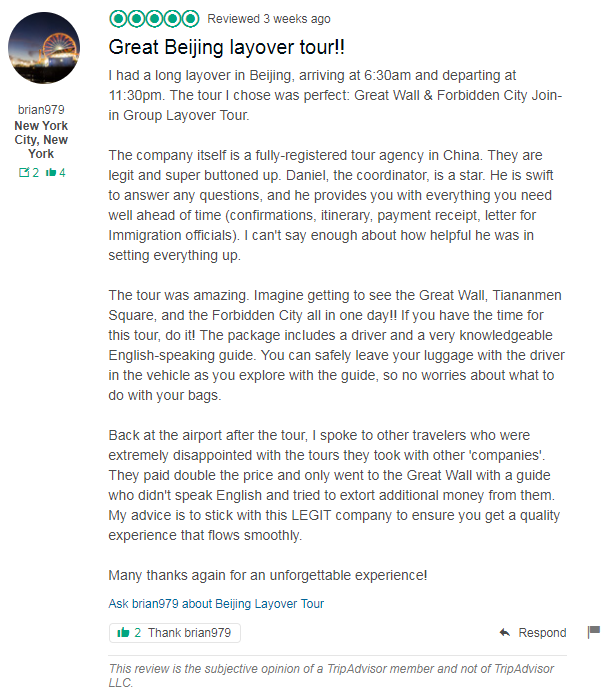 All of our Beijing layover tours are included English-speaking tour guides. Please let us know how many people do you have. Then we will send an email about detailed itinerary and price to you.